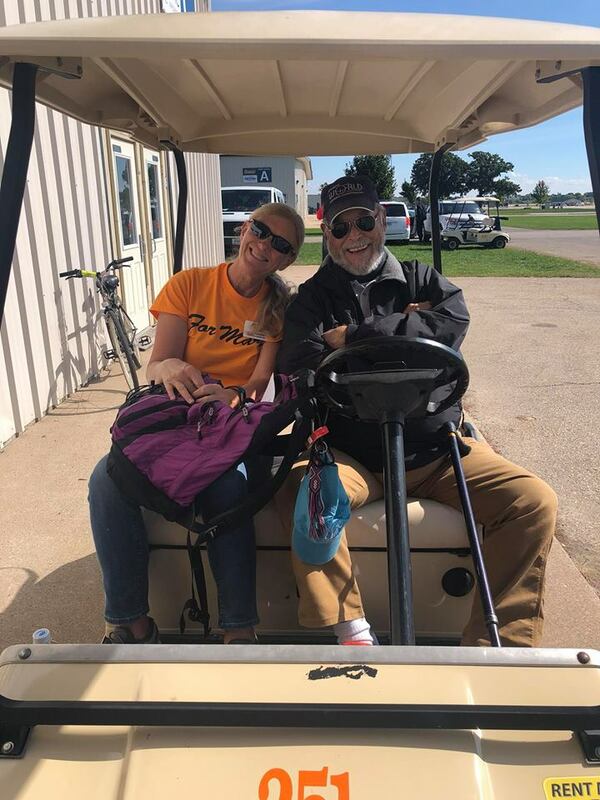 Today, we wrapped up the primary and sportsman categories with Susan Bell taking first, Larry Emewein taking second, and Jarrett Croy taking third, in the Sportsman Known (free) program. Tomorrow, Unlimited will be starting, followed by advanced and intermediate flights. Check the nationals facebook page for live feeds of the action, and stay tuned for more updates! Unfortunately, due to poor weather, no flights took place today. We will keep you posted tomorrow as we will be trying to get caught up from our impromptu day off. 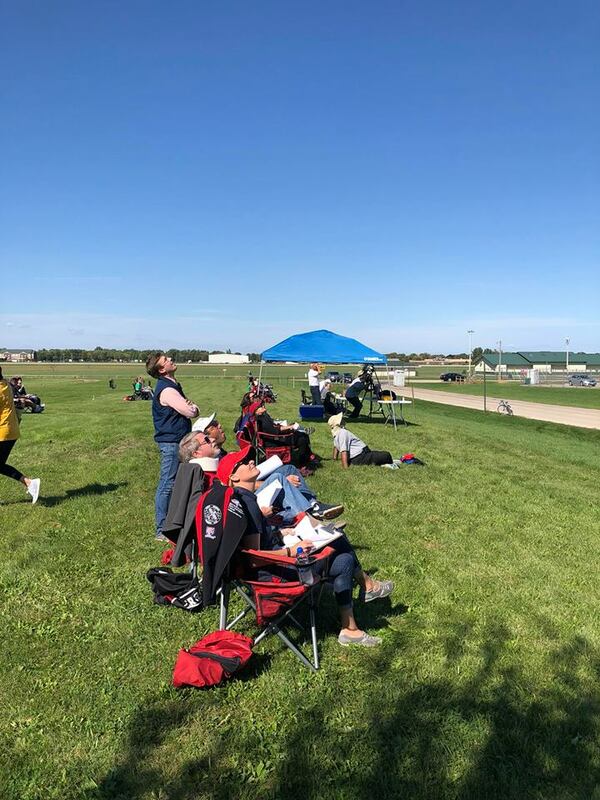 Today, the primary, sportsman, intermediate, and advanced categories all flew their known programs. In the intermediate category, Shaun Brautigan placed first, Adam Messenheimer took second, and David Taylor got third. 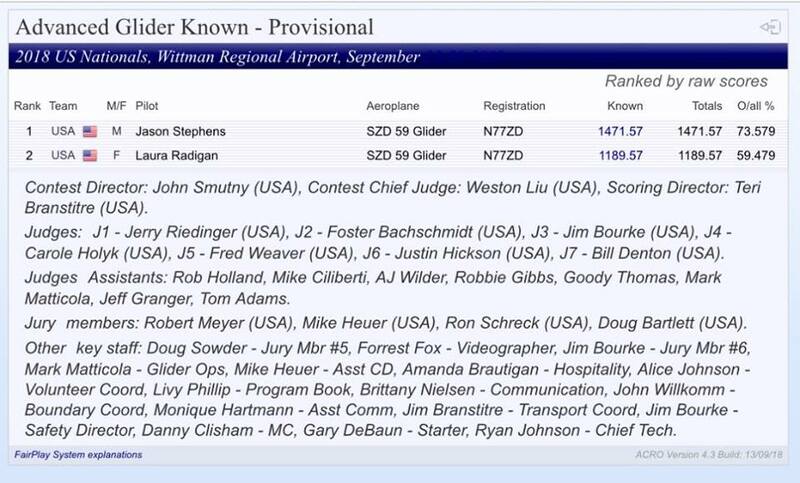 In the advanced glider category, Jason Stephens took first and Laura Radigan placed second. 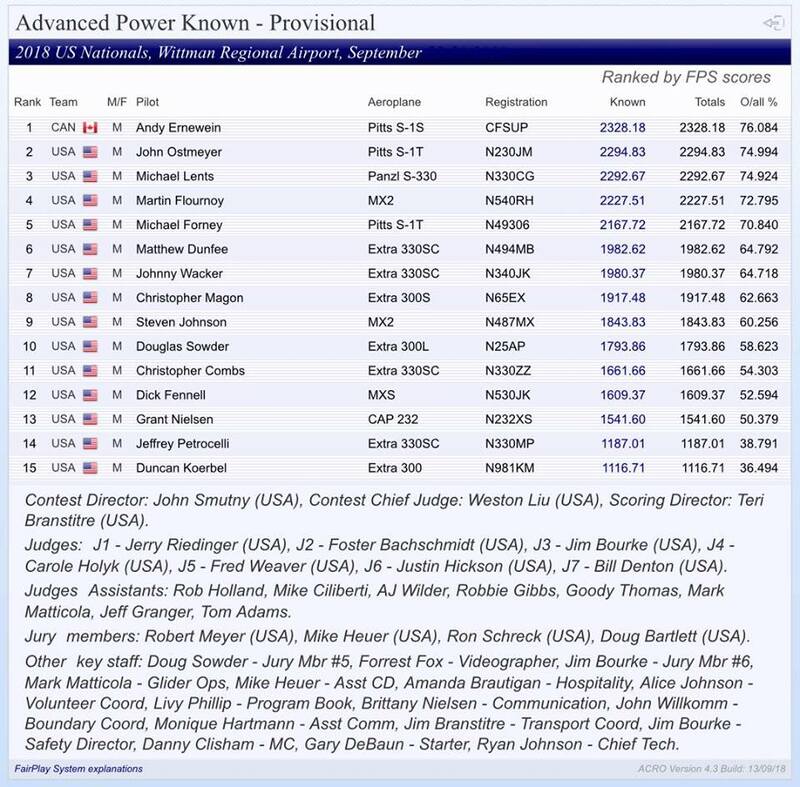 Finally, in the advanced powered category, Andy Emewein placed first, John Ostmeyer took second, and Michael Lents got third. 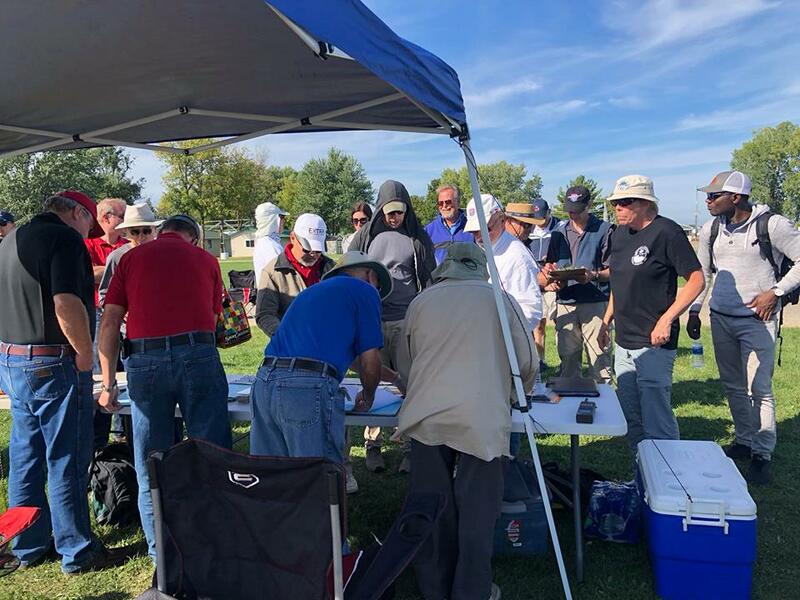 Pictured below are some of our judges setting up for the primary and sportsman categories, the U.S.A.F glider demonstration team, and our volunteer coordinator, Alice Johnson, riding along with Tom Adams, who has been recently inducted into the hall of fame! Thank you to all of our volunteers! You all are amazing. Our judges had a wonderful time scoring the Unlimited free program today. 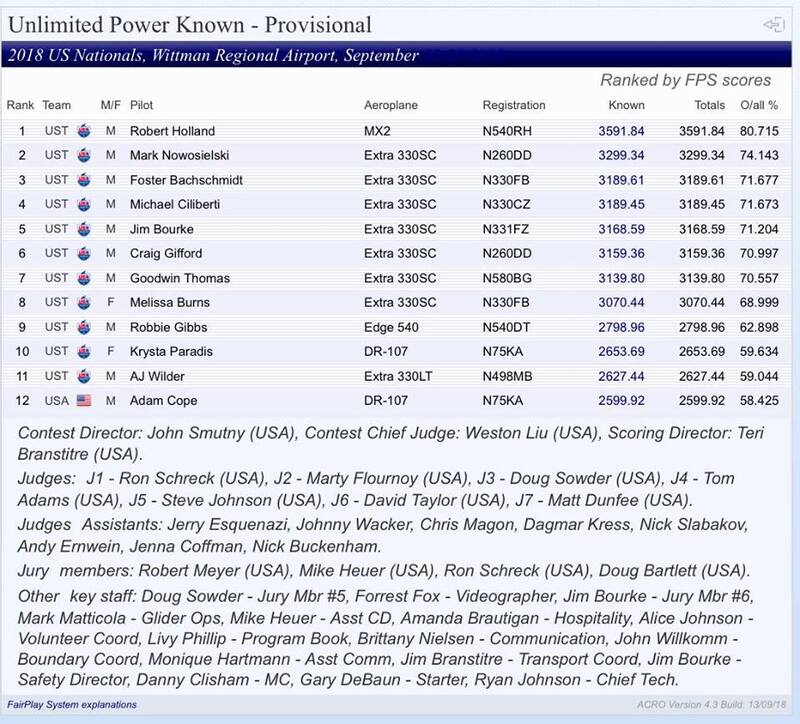 Rob keeps his first place lead, Goodwin Thomas moved up to second, and Craig Gifford snuck into third. The next Unlimited flight with be Tuesday, September 25th in the morning. Pictures below are some of our wonderful judges, and the group photo. As you can see, the gang's all here! 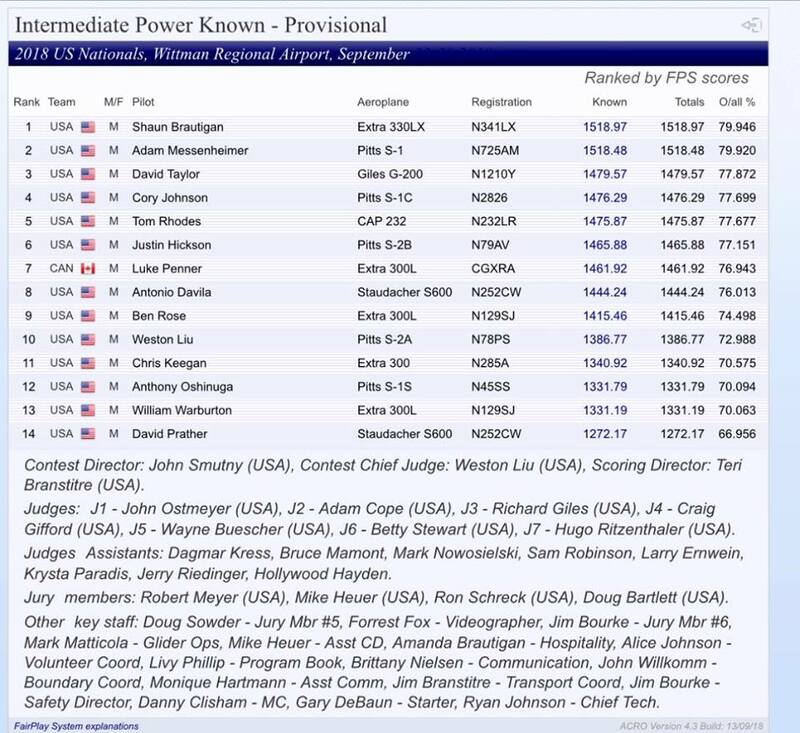 The Unlimited Category pilots kicked off the contest with the powered known flights this afternoon. 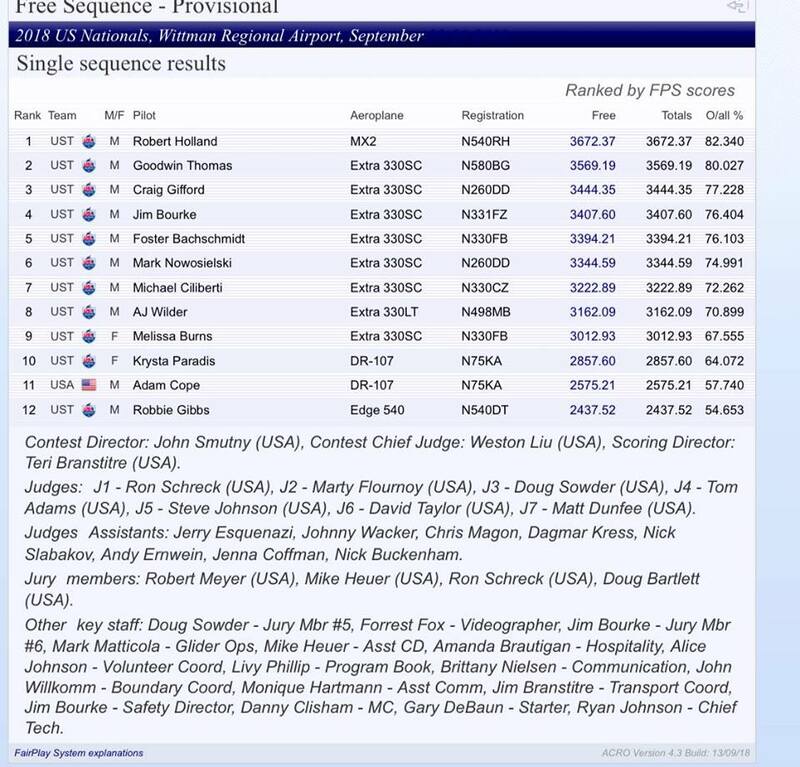 Rob Holland settled into first, Mark Nowosielski in second, and Foster Bachschmidt in third. Congratulations! The Unlimited Team aspirants posed for a photo during the opening ceremony festivities. Glad all of you could make it! The day began with practice, followed by the opening ceremony. 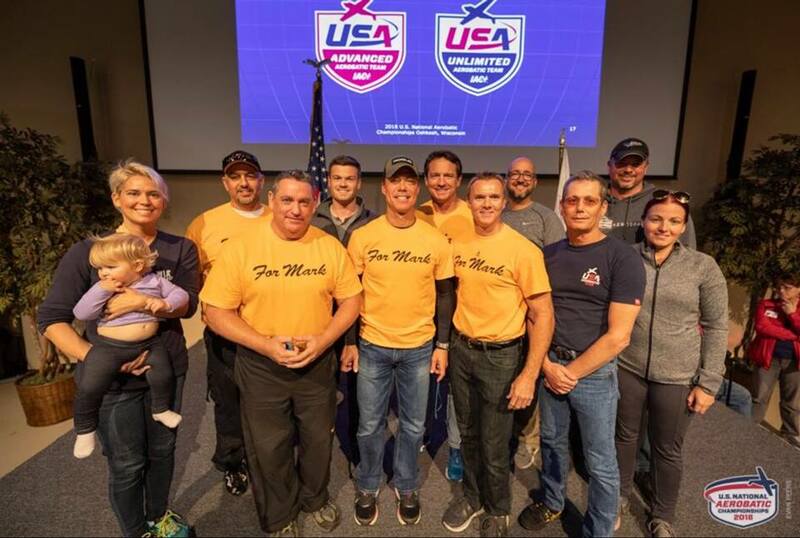 During this event, the colors were presented by the U.S.A.F Academy Color Guard, the national anthem was sung by Kristina Heyden, the invocation was given by Hollywood Hayden. 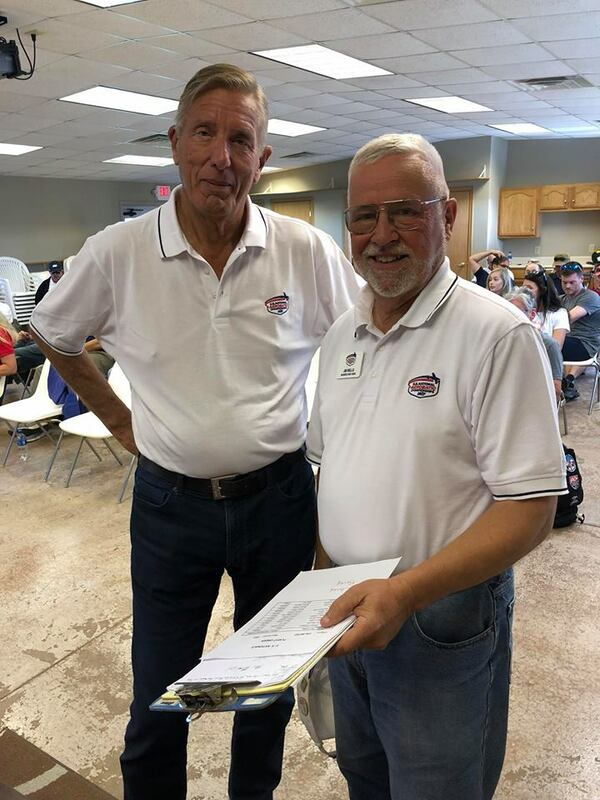 Mayor Steve Cummings greeted the group, welcoming them to Oshkosh, and Rick Larson, EAA VP Communities, was excited to have IAC return for their second nationals year. 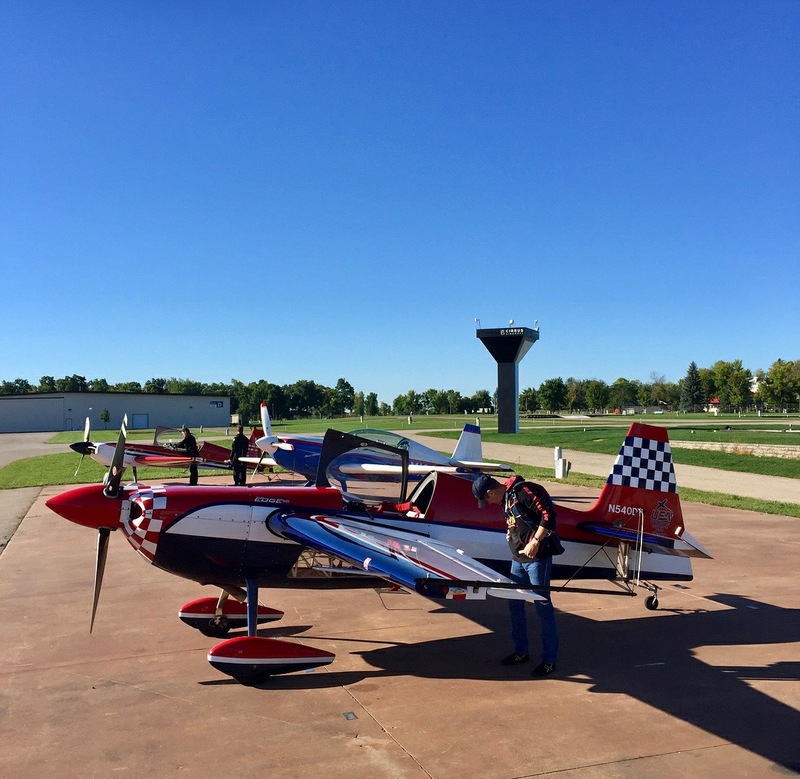 The Unlimited pilots kicked off the event flying their first sequence in blue skies and a light breeze. Watch for results here. REGISTRATION IS OPEN! 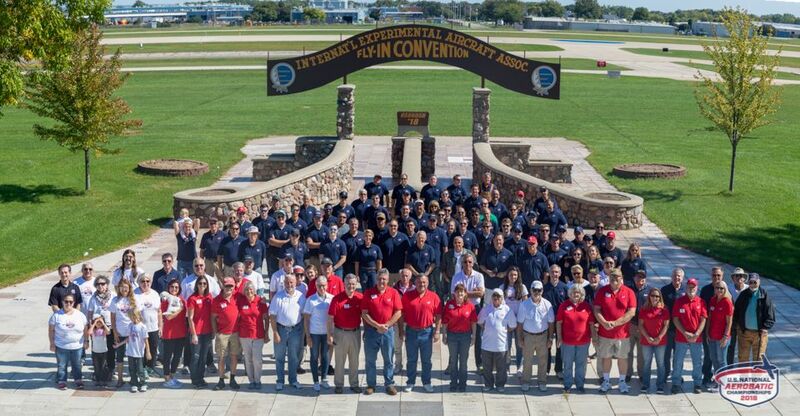 Competitors and IAC member volunteers register here. Have your credit card ready. You cannot return to registration to pay entry fees. Remember to enter your shirt size, one free shirt will be given to each pilot. If you set this up at last years Nationals and have been receiving texts since then you do not need to do this set up process again. 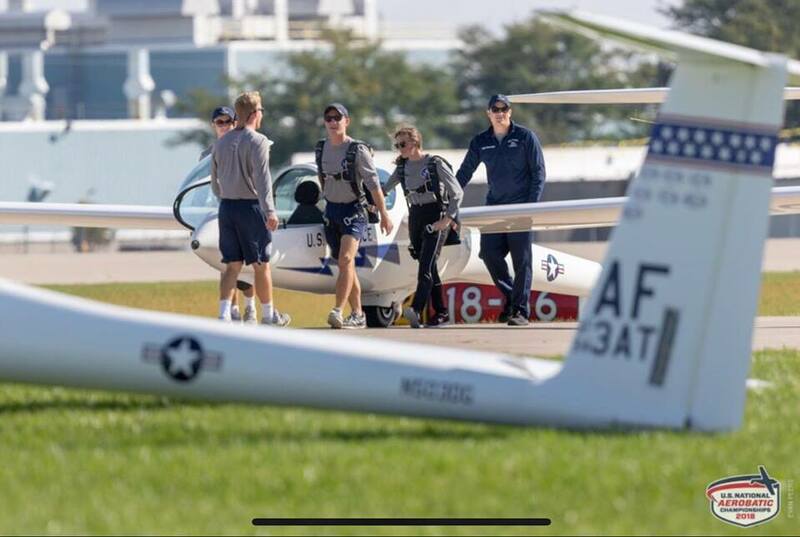 This does NOT set up a twitter account for you, this ONLY allows the U.S. Aerobatic Nationals Twitter Page to send you a text with news/updates that are posted on the page. We urge everyone to sign up for these text messages, this will be extremely useful to get all updates/changes to you pertaining to the contest. The sooner you do this set up process the sooner you will be up to date on news/ changes/ scheduling for the Contest.